Hooray! 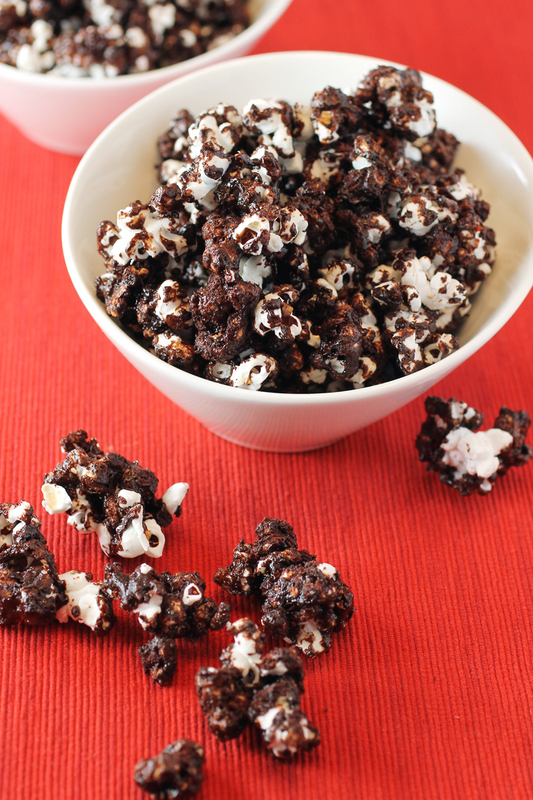 This homemade version of chocolate popcorn is pretty darn close to the one I fell for in Seattle. Ever since a trip to Seattle last year, I have been obsessed with chocolate popcorn. My first taste of this crunchy, chocolatey treat came courtesy of the Cinerama movie theater in downtown Seattle, where the marquee not only flashes its availability in bright lights, but the intoxicating smell of it wafts out its doors. The late Paul Allen, a co-founder of Microsoft, bought the iconic theater and proceeded to seriously up the game on the concession stand. Fortunately, you can even walk into the lobby and buy some of this popcorn without even buying a ticket to a movie. That’s what my husband and I did after our interest — and nostrils — were piqued. On the second to last day of our trip, we bought a small ($6.50), which is fairly sizeable. One taste and we were completely hooked. In fact, I like chocolate popcorn way better than caramel corn because it’s not as cloying. We nibbled to our stomach’s content and even had enough leftover to bring home on the plane. After the last of the chocolate popcorn was gone a couple days later (and mind you, it was still wonderfully crisp even at that point), I began to have serious withdrawal. So much so that I even looked online to see if the Cinerama might possibly do mail-orders of the popcorn. But alas, no. So I was determined to try to make my own at home.